Many companies waste thousands of dollars on their e-commerce website because they work with Magento web developers who don't understand their business goals. 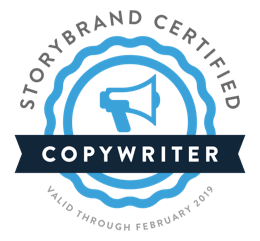 We cut out the technical talk to help you clearly communicate your product's value so you can sell more products online and be more successful. With over 10 years specializing in Magento website development and 15 years running a business, our objective is to bridge the two together to give you a website that achieves your business goals. We work in partnership with our customers by developing strong relationships and an understanding of their business in order to help their Magento store grow. Our customers are typically a growth stage small business doing $300,000 - $1,000,000 online per year. Having worked with many different e-commerce managers and owners across many different industries, we’ve seen many of the same challenges. This means we know what works and how to tweak it to exactly what your business needs to meet your goals and grow to the next level. the size of their online business. One has even doubled the size of their online sales for five years running. With an optimized Magento website and a marketing plan that compels your customers to buy, we believe you could see a similar success. We’ve seen the pain and disappointment from customers paying for Magento website development and not getting what they expected or needed. Don’t let this be you. Hire Nashville's best Magento development company! An essential piece to our e-commerce projects, whether it be a simple or enterprise level e-commerce project, Thomas is always on time and available with a wealth of knowledge. We absolutely could not do what we do without him! Our website is now delivering fantastic results. Since launching this new site, we are filling classes almost every day. It is great to work with someone who listens to your needs and helps deliver the very best customer experience. 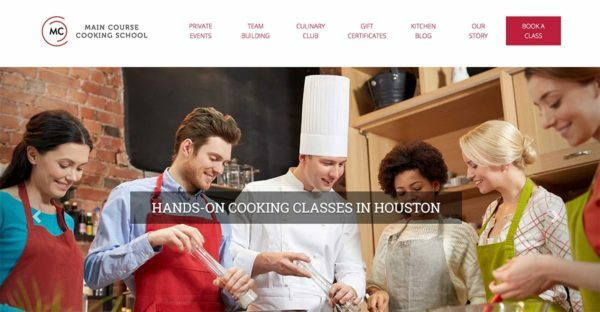 ​We began working with MainCourse Cooking, a cooking school in Houston, Texas, a couple of years ago. They had an existing website on Magento that allowed customers to purchase classes, but the design did not match the branding and it lacked many features to help customers find what they were looking for. After a discovery, we determined that a new design was needed that more closely matched the brand. It needed to easily work on a mobile device, customers needed a calendar where they could quickly find classes on specific dates, and the website needed to run faster. We added other features to benefit the cooking class customer, like gift cards, membership subscriptions, beer and wine sales, and private classes. Classes can now be filtered by course type (steak anyone?) and customers can join a waiting list. Since launching, classes are booked full almost every day. We’ve also added features to help the administrators, like swapping customers to another class, custom reporting, accounting and bookkeeping breakdowns, and custom email capabilities. Most importantly, revenue has almost doubled. 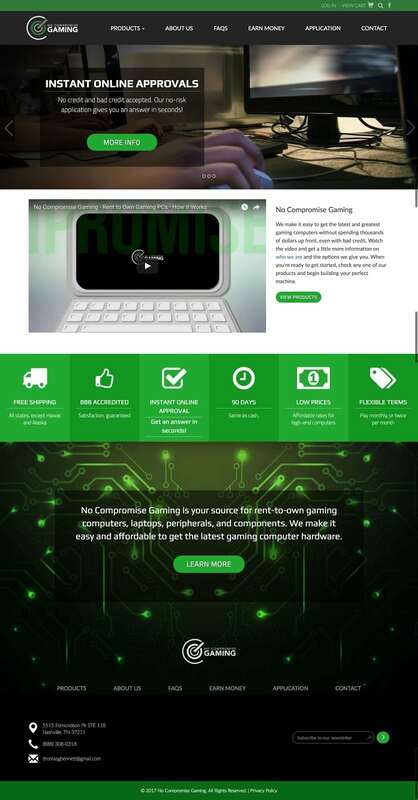 A local Nashville company, No Compromise Gaming leases and sells top-notch computers and gaming gear. This small business had a website and affiliate program, but it primarily gave the customers information and took referrals. Together, we determined that a new logo, full website redesign and migration to Magento was needed. We built an importer than could handle the many products and attributes needed to support computers. In order to grow the business, No Compromise Gaming needed a way for their customers to have an automatic credit check from their personal information, assign the customer a credit limit for purchases, and segment the customers into various group for an email campaign. After building out the custom checkout and adding features to assist with both email marketing and an adwords campaign, NCG has seen their onlines sales skyrocket without having to hire additional staff members or do manual, tedious administrative tasks. Needless to say, this development project was a huge success! When you work with a certified Magento agency, you’ll end up getting a proposal from their best guesses of what you need. Or you will get a pitch based on a high-level agreement from a short phone call. You will agree on a price from a list of ambiguous changes of work. As the project goes on and the scope of work changes (because they expected you to know exactly what you wanted and needed), you will be nickeled and dimed. You’ll have to sign change order forms, communicate the same thing over and over to the agency’s account executive (who doesn’t understand either the business or the development), reiterate the same with the project manager, and occasionally communicate with a developer (who you can bet doesn’t understand or really care about your actual business goal). There are loads of developers for hire from agencies - but if you hire them, you will get passed from person to person like a ragdoll. All who aren’t focused on your bottom line. On the flipside, working with a certified Magento freelancer might not be your best bet, either. Freelance developers may spend more time on your specific needs, but they are also limited without a team of magento web developers to back them up. They may not have the time or expertise to fully build a strong Magento site. With us, you work directly with Thomas Bennett, a dedicated e-commerce developer and business owner - and our team of Magento web developers. We schedule a free consultation with you, get a better understanding of your business goals and then implement your custom plan. Like any good doctor, lawyer, or mechanic, we diagnose your business’s problem before we begin implementing a solution. Once we have your plan in place, you will communicate directly with Thomas and our project manager, who is here to ensure your work is getting done quickly and fully tested. From local SEO to national search engine optimization, we’ll make sure your online store has a fighting chance to rank on Google. Since we will understand what you are trying to achieve, we will set your website up in a way that Google knows how to read it. Then we will instruct and train you so that when you create new pages and products you are maximizing your website’s search potential. ​If you want to create a mobile app for your Magento store, we can do that too. Using the tools that Magento provides, our mobile developers have created mobile apps to help our clients increase sales and create repeat customers. Everything from a mobile store to customer loyalty points - we can do it all! Your customers, orders and other data are really important. Compromising the integrity of this data can haunt you for a long time as bugs with your website continuously pop up. We migrate many websites every month, so we understand the importance and privacy of your information. Whether you are moving to a new version of PHP, a new website hosting provider, or upgrading your version of Magento, we can export your data and keep it safe. No risk and no worries of losing anything when you move to a freshly designed site. We offer managed Magento hosting from the top server companies in the world. Never worry about downtime again. Whether you’re doing a couple or thousands of transaction every day, we have created plans and solutions to meet your company’s needs. Plus, our hosting is comparable in price to similar solutions. No wasted money on features you don't need or hidden fees. You may not need a full website redesign. Or maybe you need a facelift, but do not really need to recode your entire store. Diagnosing your business needs comes first. In many cases, you may only need an extension created or added to your e-commerce store to solve your need. Many agencies will download and install an extension that they find from Google. This can be problematic for a lot of reasons, including extensions conflicting with each other or your websites needed functionality. Instead, we do custom Magento extension development which allows us to avoid the problems and ensure your website can continue grow with your business. Our dedicated Magento developers know how to create responsive Magento themes you can use to uplift your whole site. No need to code individual pages. From JS development to custom Magento projects, our development teams can create anything you need. We have worked with and hired Magento programmers from many countries. When I was a lead developer at Asurion, my team used many offshore resources and hired Indian Magento Developers to allow for continuous development at affordable prices. They really can get the job done. But the language barrier, cultural differences, and huge time zone variance means you have to spell out exactly what you need, or you could end up wasting time and money. Being based in Nashville, Tennessee, means we’re US-based, close to your time zone, and speak your language. Having owned a business and managed large teams, we also can understand your business goals and are able to warn you of pitfalls. We can ask the right questions to make sure we understand the purpose of your requests and make sure the solution meets your goals. No missed deadlines. No misunderstandings. Magento websites done your way. Why do you work with “growth stage” businesses? Our customers need to be big enough to afford our services, but small enough to be able to quickly make decisions. These businesses already have a proven product and enough processes in place that we don’t have to give full business coaching. Do you work with businesses smaller than $300,000? In some cases, yes. Several of our customers take orders over the phone and do not track as many online sales. With other customers, we offer additional services that provide a higher value. Do you work with companies larger than $1,000,000? Absolutely. This dollar figure is often a representation of the business and its processes (our development processes have allowed us to grow without adding layers of complication), but not always. In some cases, our customers can grow very large without adding complicated layers of processes and management that slow down our ability to move quickly. We have customers ranging from $3,000,000 to $12,000,000 per year, but these customers typically have no more than 2-3 decision makers related to our partnership. Do you still work on Magento 1? Yes! We have worked on Magento 1 for 10 years and want to continue to support customers who cannot or will not move up to Magento 2 yet. Since Magento is going to stop supporting security updates for Magento 1 at the end of 2018, we do advise you move to Magento 2 as soon as possible. We also cannot accept any fault or responsibility for security issues beyond what Magento e-commerce will provide. Do you have experience with Magento 2? We have experience moving websites from Magento 1 to Magento 2 as well as building new, custom and complex websites in Magento 2. The level of effort is a little higher and the community is not yet as large as it was on Magento 1 but we believe Magento 2 is growing and heading in the right direction. Don't wait. Hire Magento Developers Today! We could use help with our website or marketing!